"WHAT HAVE YOU BEEN DOING WITH YOUR LIFE?". Seriously! Finish reading this (obvi) and then run, don't walk, to your favourite shoe store, because having the right boots in your wardrobe is key to building great outfits. In fact, the right footwear will make or break an outfit, so I'm not messing around here. It's Fall. It's getting colder. The success of your cool weather outfits depends on them. I think that covers it. This is where things get fun. 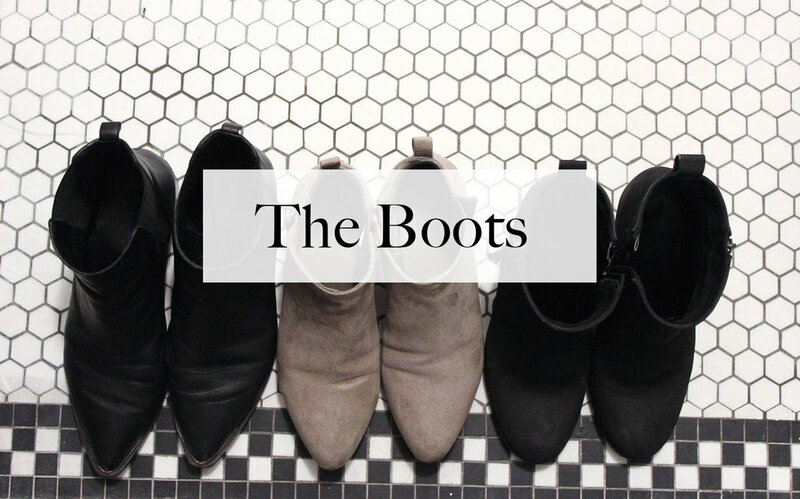 There are so many different kinds of boots: short, tall, flat, heel, pointy-toed, round-toed, decorative, plain, all the colours - how to choose?! The answer is it's personal, but I will say that without any prompting from me, all three of us that participated in this shoot brought short booties with a small heel. I'm going to go ahead and make a strong recommendation here, if you only have room for one pair of boots in your wardrobe go with this style in a neutral colour (think black, brown, or a sand-y beige). You can wear them everyday, with basically any outfit (including skirts and dresses), and they will never become cumbersome or too hot like their taller counterparts. 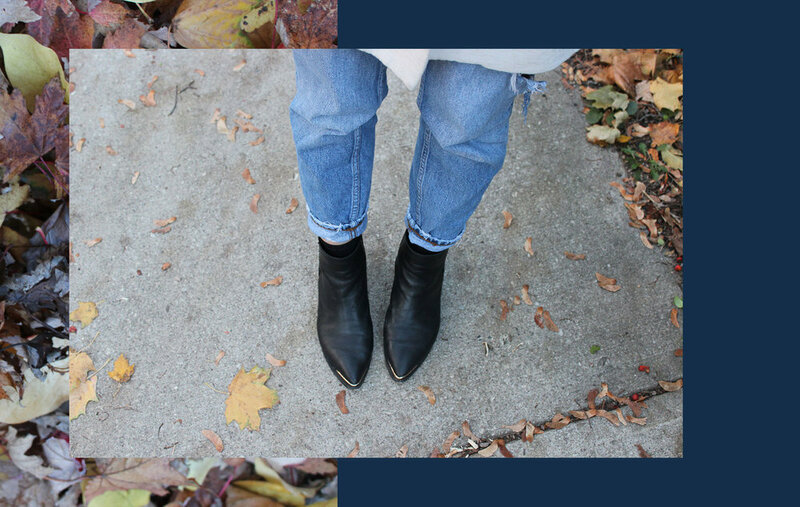 The only thing you need to watch is the length of your pants and how they sit with the boots. If you generally wear a skinny silhouette (like Lacey and I are in the first couple of pics) then you should be fine, but if you notice that you have bunching happening the best solve is to do a short cuff or roll depending on the length of your pants. You want the cuff/roll to sit just above the top of the boots (see the pic of Nicole below - her cuff game is tight). Go get yourself some boots, and then enjoy November!